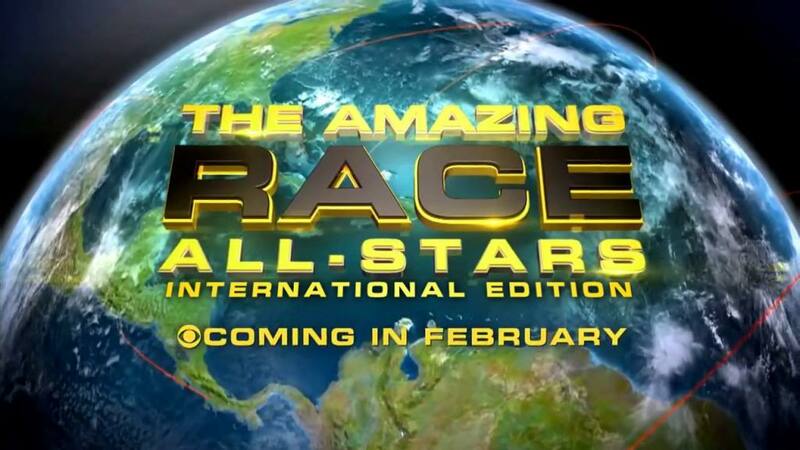 Why Can't We Have Amazing Race International All-Stars Instead? So CBS and Bert & Co. actually mustered up the courage (or more bluntly, had the gall) to call TAR24 The Amazing Race All-Stars. That is absolutely hilarious and very sad at the same time. If you haven’t seen the final cast list for TARAS2 (*shudder*), while I won’t spoil them here, I will say that half the cast don’t even deserve to be anywhere near the word “All-Star, ” let alone even get an invite back. An absolutely absurd cast. And for any TAR season, a good cast is half of what makes the show enjoyable. That’s one of the biggest problems that have made the last couple of seasons pale in comparison to many of TAR’s classic seasons. When it was first revealed that TAR24would be a returning Racers season, of course, TAR fans like myself had our own wish lists of who we wanted and/or thought to see again. Most, if not all, fans were greatly disappointed in the cast we are getting. But it got me thinking about how casts of the international TARs in recent years have been so good and have easily topped any group of teams TARUS has trotted out lately. TARUS needs to grab some of the those casting directors. So, why not scrap TARAS2 and instead cast some of the best and most interesting teams from Amazing Race around the world. For die-hard fans, it’d be great to see some familiar and favorite teams again. For the casuals, the teams would be absolutely new to them. Win-win! I decided to make my own All-Stars wish list, but of teams from around the world. I’ve only watched the TARs of Asia, Australia, the Philippines and Canada, so the teams I’ve chosen are from those seasons and franchises. Also, I have 16 teams on this wishlist/shortlist with some either/or picks as well. But any 11 or 12 of these teams would be a huge step-up for TARUS, that’s for sure. 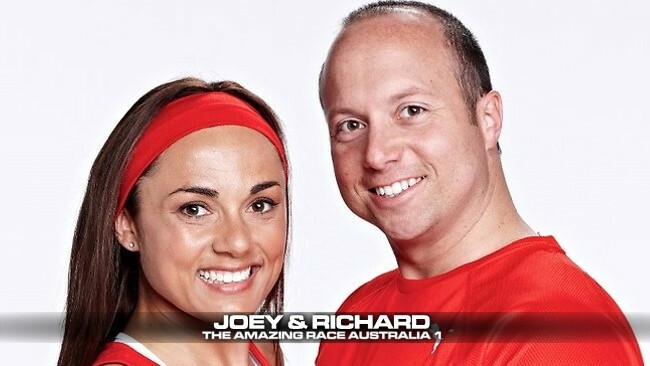 Zabrina & Joe Jer are the first ever all-female team to win The Amazing Race. ANY Amazing Race. Ida & Tania were great, feisty friends who were a surprise final four team on TARA3. The Riches, Richard & Richard, won TARA4 and did it with a consistent Race while being a fun, enjoyable team and without being camera-mugging camwhores. Natasha & Hussein are the kind of fun parent-child team you want to see on the Race. Fireworks and bickering and plenty of drama. Sam & Renae made a big first impression on TARAu1, but steadily got less awesome and more boring as the Race went on. Still, they were a solid all-female team. But it is a toss-up between them and TARAu2’s Michelle & Jo. I might lean more towards the twins because, for one thing, they’ll have a rivalry with another TARAu All-Star team. But also because they were the stronger and more fierce all-female team from TARAu. They made a great run to the final Leg and could’ve very well won it. Joey & Richard were pegged as the early villains of TARAu1, but really, they were just highly competitive. They made an early exit, but they left a huge impression after Joey shaved her head for the Fast Forward. And unlike Joyce in TAR7, Joey actually had a full head of long hair. 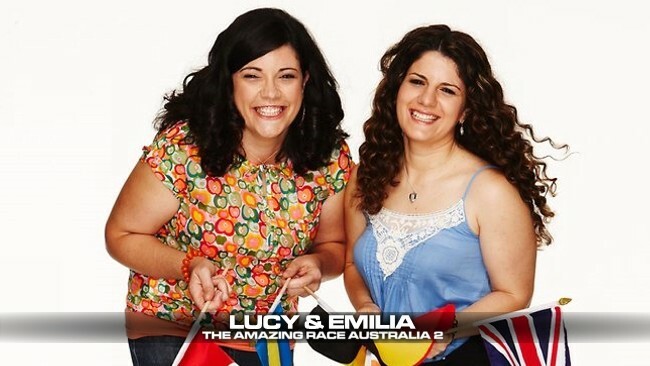 Meanwhile, Lucy & Emilia might end up being early boot fodder in an All-Star Race, but they could also bottomgoddess their way late into the Race like they did on TARAu2. And while they fall forwards, they’ll be fun and hilarious to watch the entire time. Paul & Steve might be the example of a TAR alpha-male team. But there’s an extra side to their characters with Paul’s being bullied as a kid and them being absolutely misunderstood by other teams throughout the Race. They may appear to be alpha males, but they weren’t jerks. And there were times when they rivaled Lucy & Emilia as bottom-goddesses too. That’s always fun. 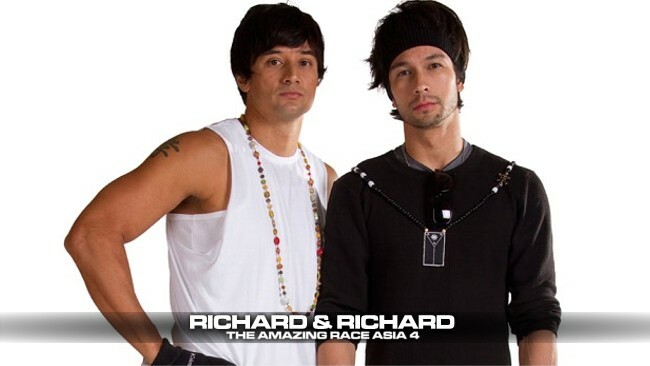 I might be partial to The Amazing Race Philippines, but say what you will, they had some great teams. I’m torn between Dani & Mish and Sheena & Gee for one spot. Dani & Mish fill the beauty queen spot, especially over Sam & Renae. But Dani’s meltdowns alone are worth the price of admission. Sheena & Gee might be better Racers overall, but sometimes, their camera-mugging would grate. At the end, they were the only rootable team left and then they got eliminated in the penultimate Leg. They proved they can be great competitors, but there’s a lack of possible drama that Dani could definitely bring. Marc & Kat were basically the Rachel & Dave (TAR20) of TARPh and basically almost won the full prize amount just by winning Legs. They ended up stumbling in the final Leg, but it would be interesting to see how they fare against stiffer competition that can more than match up with them. Pamela & Vanessa may also be early fodder, but even one or two Legs with them would be worth it. They would absolutely enjoy their time on the Race, deliver some hilarious one liners and sosyal it up outside the Philippines. You can’t help but root for them, even to just make it a few more Legs. A must from TARPh have to be Saida & Jervi. While they collapsed in their final Leg, they were more than competent Racers who showed flashes of greatness while being fun and funny. Plus, Jervi being transgender would be a first for TARUS. 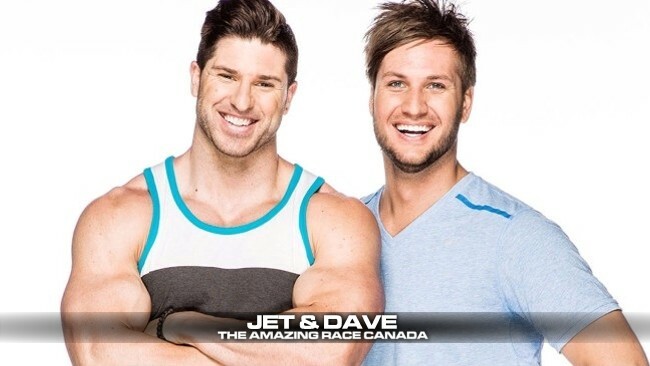 And finally, Jet & Dave from TAR Canada. Maybe the biggest personalities to come out of TARC, they are locks for a future-TARC All-Stars and would be a lock for any international All-Stars cast. Great Racers and competitors, fun, nice guys, they would quickly become a fan favorite. Looking at my cast, it seems to be dominated by all-female teams and not enough male-female teams. But for the Asian TARs especially, the casting for all-female teams have been the strongest with the co-ed teams being the weakest, I think since they’d merely resort to the bickering couple archetype. This is definitely a cast I’d love to see Race and definitely much more than the cast we are getting for TAR24. It’ll never happen, but for now, wishing and hoping and dreaming and thinking “What if?” is the only thing and maybe the better thing to do than anticipate or being excited for The Amazing Race “All-Stars” (*shudder*).